Is it me or does Zero look like he has a big head and no neck? It's because of the angle. He does have a neck. Hey, aren't we a bit late for Mardi Gras? On a second look, it ALMOST looks like it has those proportions of the earlier kits, bit some of it is still off. The translucent green is gorgeous, but maybe that's because I have this strange fetish for any translucent plastics. Dissapointing, as i tough. HUUGE head and no neck? WTF? Heres hoping Bandai D-Arts would tacle Z-Zero as well, since he ranked pretty high in both polls. Damn, that looks pretty awesome. As much of a pain it was to build the Kotobukiya Rockman, it was still worth it. I'm so buying this when it is released. Thats it???!!! Thats all the weapons he comes with???!!! What a complete rip off!!! And he still has a big head!!! And oh wow, the Z-Knuckle, like thats so hard to make, wheres all his other weapons at??? Man, the sculptors Harvest-wks and Atelier-Sai Zero are way better than this crap. Well it is better than the Jazwares one for sure. lol! And I am liking the faces, but other than that, its just pure crap. I hope now Bandai tackles this one now. But for now, i'll be skipping on this s&%$#. What's everyone talking about with the proportions? The proportions look fine to me. 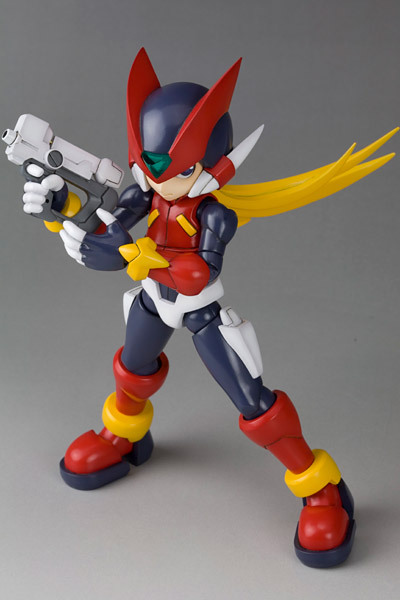 Zero IS much shorter in the MMZ series than he was in the MMX series. I think this is actually rather accurate. With all due respect MegaMac, i strongly dissagree with you. Im not an avid collector either, and i wont argue with you that this is the best oficcial representation of Z Zero to date. Also dont expect the D-Arts Line to be X-Series Exclusive. 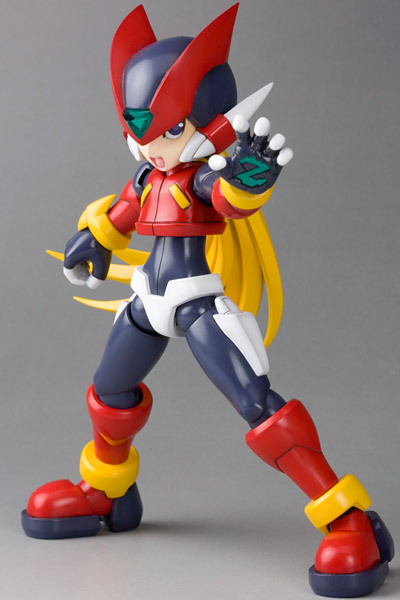 I sure hope they would get around to make a Z Zero figure as i would no doubt buy it. 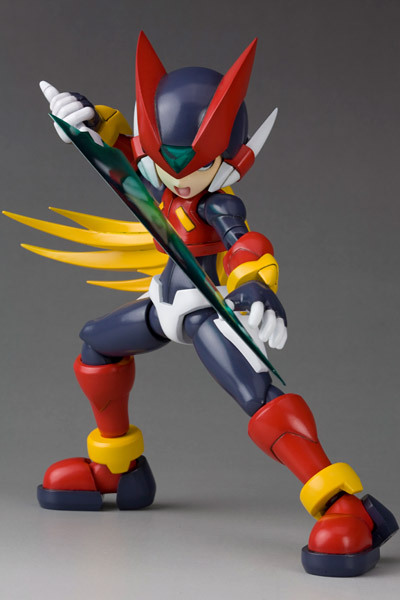 Hell, i could even skip X Zero and his upcoming Z Saber version if i knew for sure they would do it. I really don't think D-Arts needs to have a Zero Series figure. It'd be very redundant. I do agree with the Anonymous above about the lack of all the weapons, but still, that doesn't make the figure "pure crap". That's just being completely childish and inconsiderate. As for the ongoing sentiments about the proportions being off, please see the link below. Hey shut the f@#$ up!!! I'm not a avid collector either, but you have to admit that looking at the kit, theres something wrong, in the head, body proportions and stuff. Even in the box illustration shows the saber a much brighter color, and yet the saber is a dark green??? We waited and waited and waited for a Zero and this is what we get? What a rip off! harvest-wks and Atelier-Sai Zero might be very hard to find and expensive, but hey theyre more accurate than this. 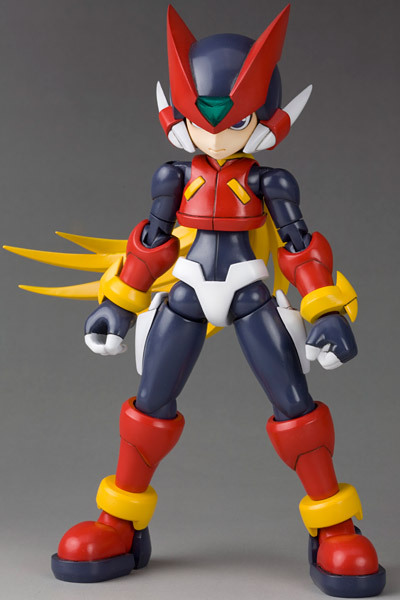 I'd rather spend a lot more to have a more accurate Zero, with all his weapons, or more weapons, than this. And your complete wrong, Bandai is for sure going to do a Zero from the Zero series in the D-Arts line in time, why, because its business. Money! And its going to be better than this crap. I like it!.....BUT the head still looks kinda big for his body... (even more so with that comparison image << Zero is bending forward in that ..so his head would appear bigger lol ). Though I think it might be because the spikey things on the side of his head are sticking out a bit much?..